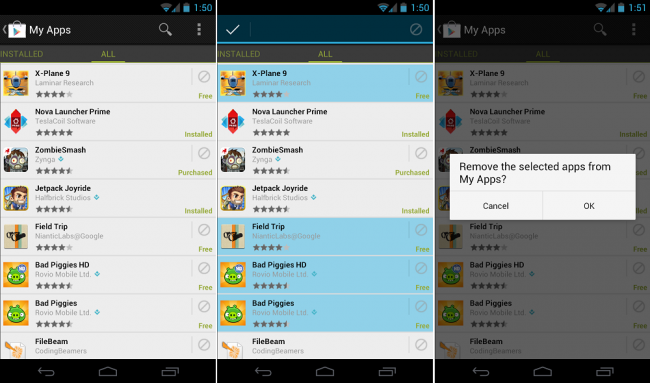 Today, there is a new version of the Google Play APK out for Android users. Version 3.9.16 brings the ability to remove a single or a list of applications from the “All Apps” list inside the application. Doing so will help you clean up the space and has been a highly requested feature from users. We have a download available below and you simply install it over the existing version of Google Play. Here’s hoping the next version will include a “Purchased” apps list.